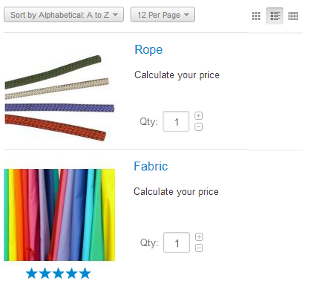 Product price calculator software is a ready-to-use solution for any business selling custom-sized products such as carpets, windows, banners, wood, mirrors, fabrics, ropes, building materials, land/plots, etc. It includes a popular shopping cart platform CS-Cart with one storefront and the Product price calculator module that allows customers to get the product price based on customer input values and chosen options. 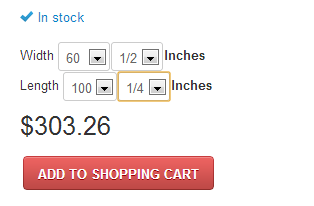 Why the Product price calculator software? 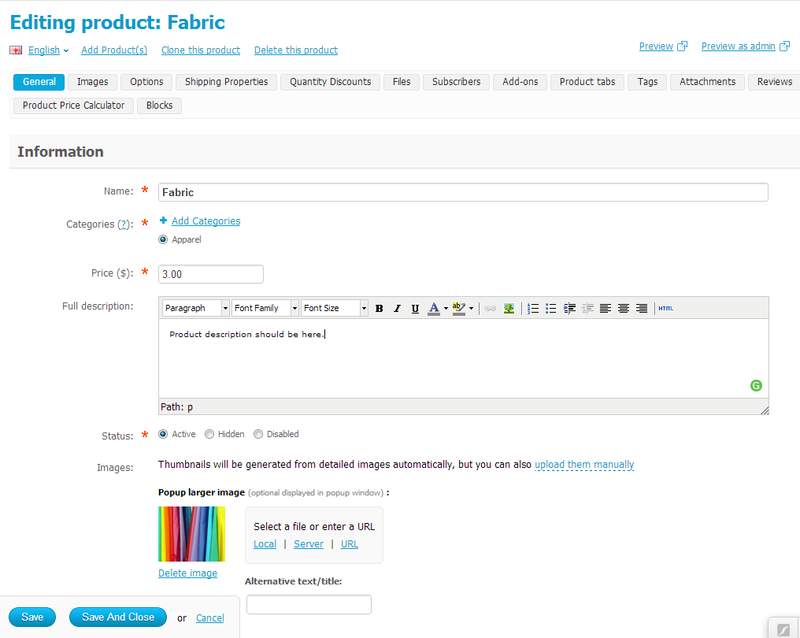 Easily customized to meet your business requirements. 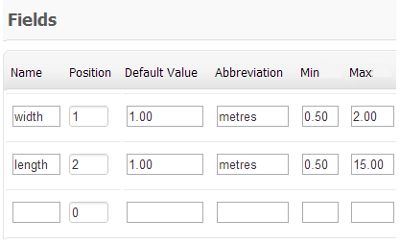 CS-Cart Product Price Calculator software is a completely customizable solution. We can develop any extra functionality that will be necessary for your particular business. 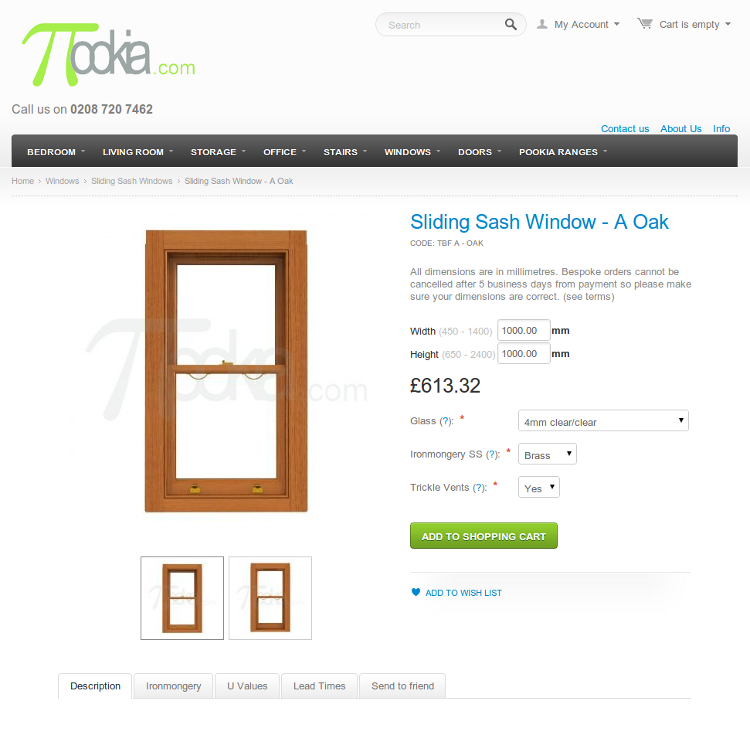 Pookia website offers a wide range of bespoke products, such as windows, doors, stairs, etc. 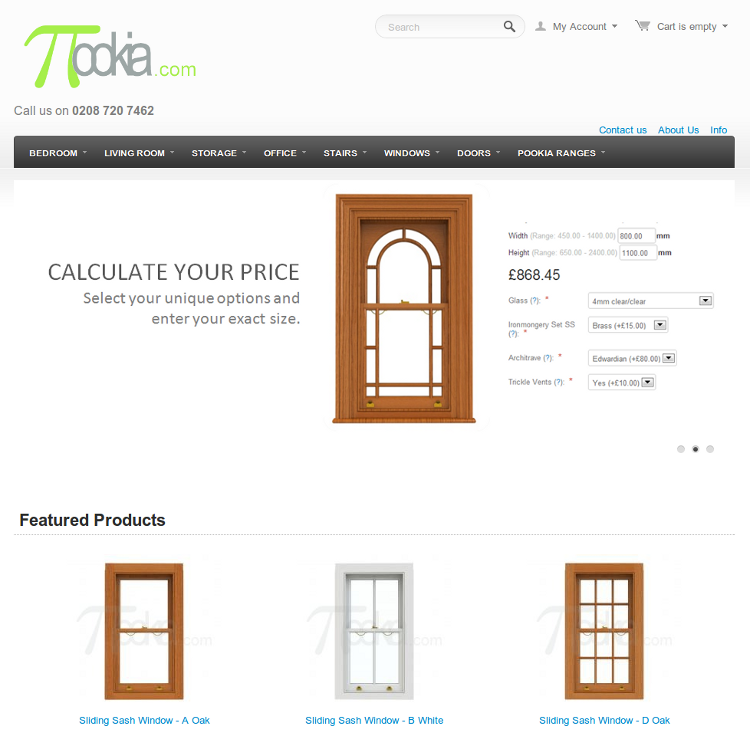 This online-store uses our Product Price Calculator add-on which was additionally modified by our team to meet the particular business needs. 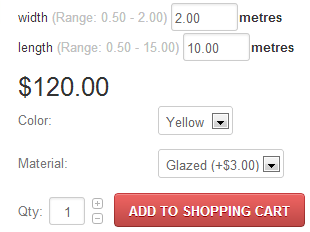 With the help of the Product Price Calculator customers can easily calculate the product price based on the custom size and chosen options. What is the Product price calculator software License Agreement? 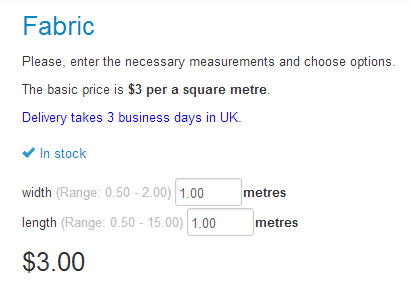 How can I download my Product price calculator software? 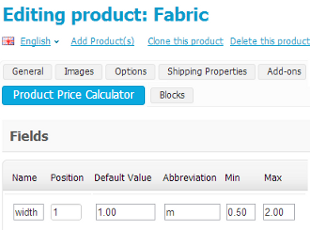 Can the Product price calculator software be customized to my business needs? 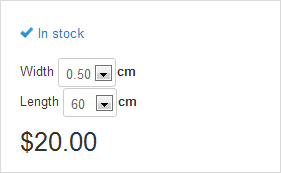 Is it possible to purchase a CS-Cart license and a Product price calculator add-on licence separately? 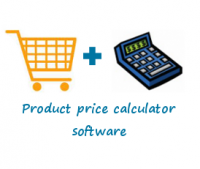 Do you offer free Product price calculator software upgrades? 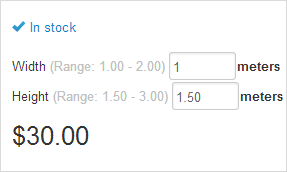 Where can I read the documentation describing the Product price calculator functionality? Where can I get a technical support? The Product price calculator software represents a package including CS-Cart online store cms developed by Simbirsk Technologies Ltd. and the Product price calculator add-on developed by LLC Alt-team. 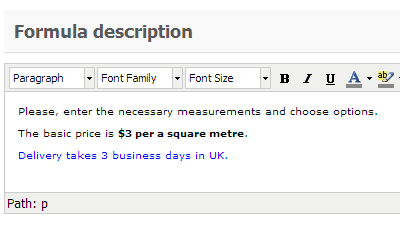 That is why there is no single License agreement for the Product price calculator software. By purchasing the Product price calculator software you should accept terms and conditions of two agreements: CS-Cart license agreement and the License agreement on the use of Alt-team add-ons. During 1-2 business days after purchasing, CS-Cart will send you e-mail with the access data to HelpDesk system where you will be able download the last version of CS-Cart software. The download link to the Product price calculator add-on will be sent to you by us within 1-2 business days from the moment of purchase. We are always ready to develop any extra functionality for your project. Just contact us if you have any questions and our specialists will answer you as soon as possible. Is it possible to purchase a CS-Cart license and a Product price calculator add-on license separately? Yes, sure it is possible. If you purchase separate licenses you will get two products with the same functionality as the Product price calculator software package. 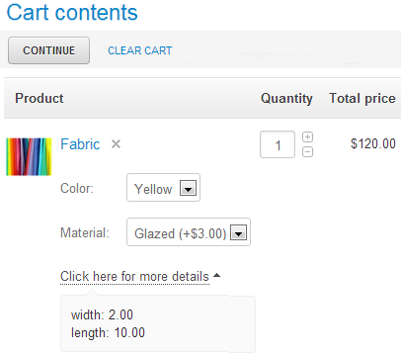 Alt-team offers CS-Cart license for $345, Product price calculator add-on license for $199, so the total price is $544. The package offer is made for your comfort, it costs only $520. You save $24 by purchasing a package. You will receive CS-Cart and Product price calculator add-on upgrades for free during one year starting from the date of purchase. But you should understand that if your CS-Cart software or Product price calculator add-on get customized and files modified, all custom modifications can fail to work after the upgrade. So, it might be necessary to pay for adjustments. 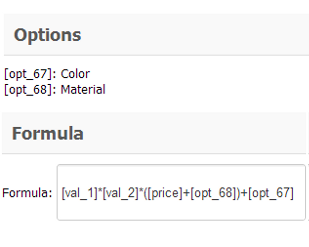 Yes, the source code of both CS-Cart Ultimate and Product price calculator add-on will be available to you. 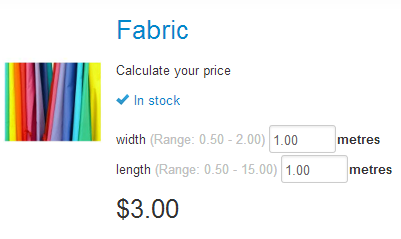 You can read the documentation about the Product price calculator functionality on this page (click the Documentation tab). Yes, it is possible. You can claim a refund for the software (CS-Cart and the Product price calculator add-on) all together. 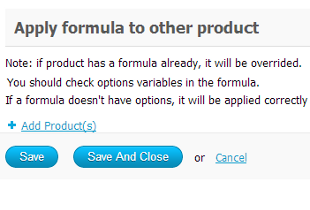 You cannot get a refund only for CS-Cart or only for the Product price calculator add-on. According to our policy a Customer can get a refund for the Product price calculator add-on developed by LLC Alt-team within 30 days of the date of purchase and only in case of purchase of the first license. A Customer cannot get a refund for a second and subsequent licenses. Yes. 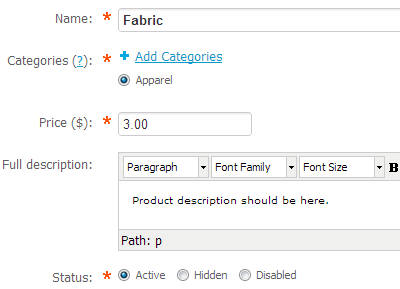 LLC Alt-team is authorized by CS-Cart.com to resell their CS-Cart shopping cart software.